In my journeys I like to take photos. They do not pretend to be exclusive, and I do not pretend to be a Photographer tho. With the time I’ve been pleased to discover that some of natural views… can’t be fixed by camera. It’s excessive to mention that nature can never be “copied” by technologies: it’s always a moment, stuck in eternity, while life is always changing, and transforming, and moving forward. 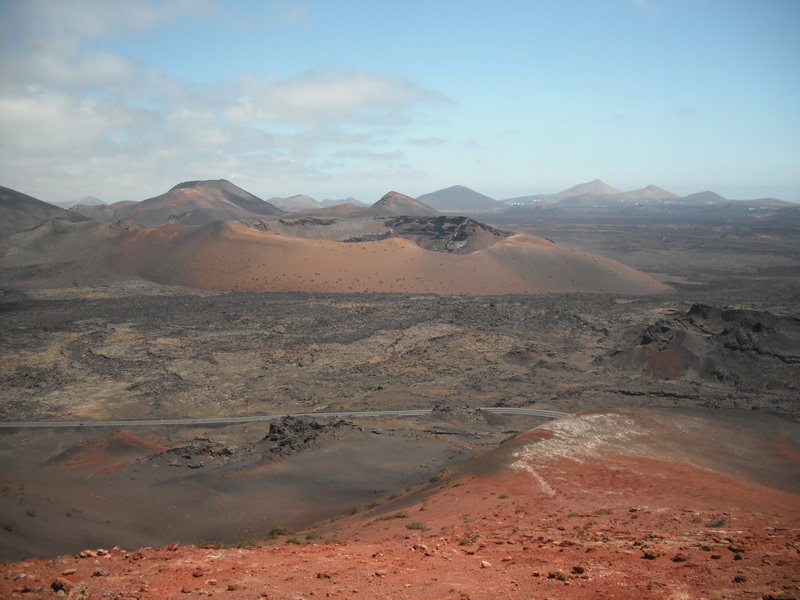 This is what I felt in Timanfaya National park on Lanzarote, Canaries. 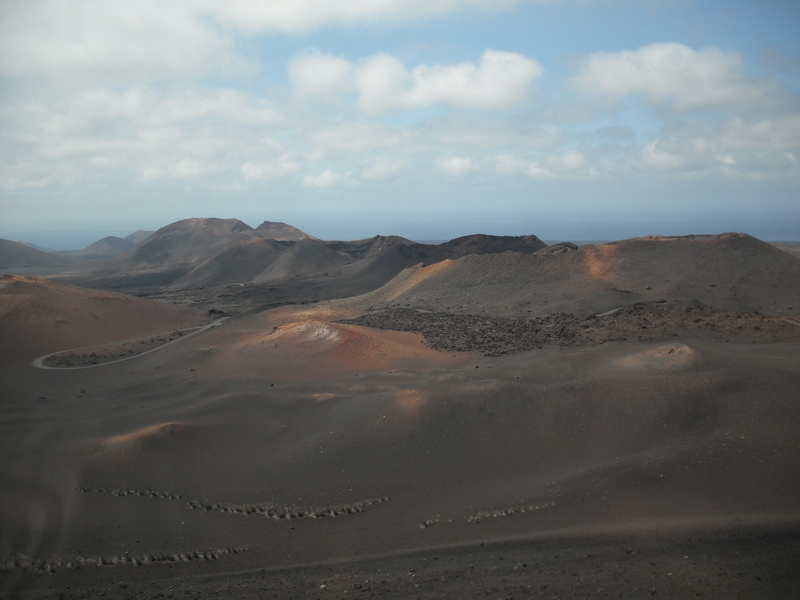 Lava fields cover one quarter of the island. Numerous volcanos tower above the gloomy landscape. They formed in 18-19th centuries and from the last explosion in 1824 keep silence. 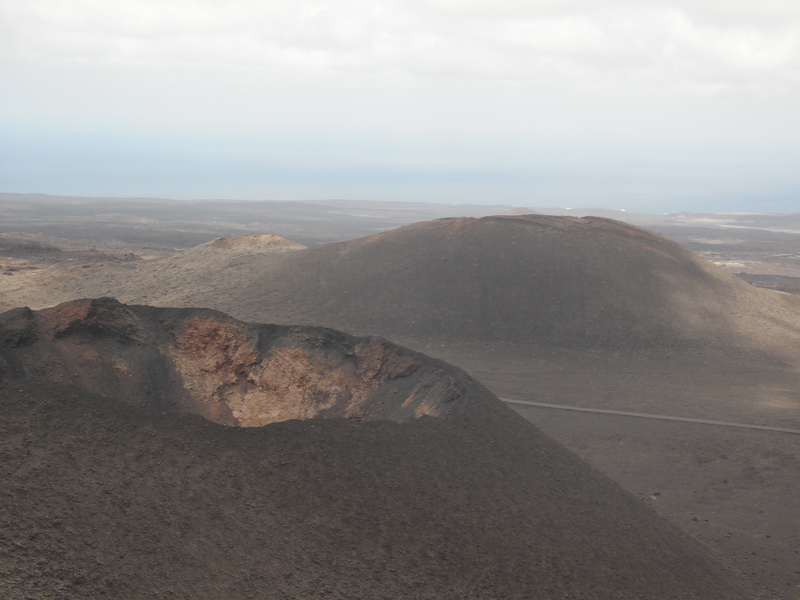 Now Mountains of Fire (how Timanfaya is also called) is a territory of the national park. Visitors are welcome there but only by touristic bus (8 euros) or by camel caravan. I’ve made a 40-minutes ride around. It was experience one of a kind, and even tourists, trying to fell out of windows in obsession to make a photo, couldn’t spoil my impressions. This inhospitable land look lifeless on the first glance. And it’s true, not so many creatures can survive in endless fields of black sponge stones. But if to have a more thorough look… between rocks that are covered with thick layer of linens green bushes make their way to sun beams. Rabbits and shrews, lizards and gekkons inhabit narrow passes between stones. This inhospitable land possesses unexpected charm and beauty. Dark slopes reflect the sun, host the shadows of clouds – and change their color. This painting is not bright and racy but noble, full of hints. 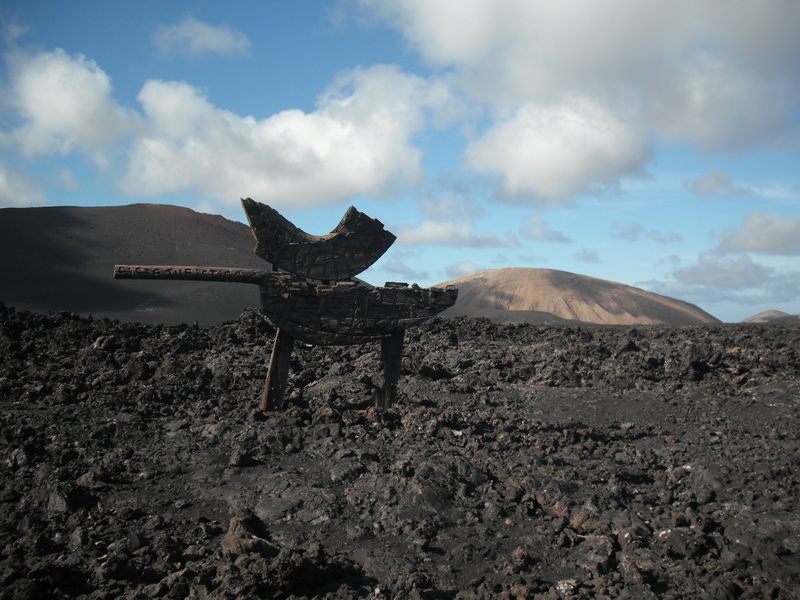 This earth still preserves power of volcano: the local restaurant “El Diablo” cooks its dishes on the natural heat, placing them above a deep bell. 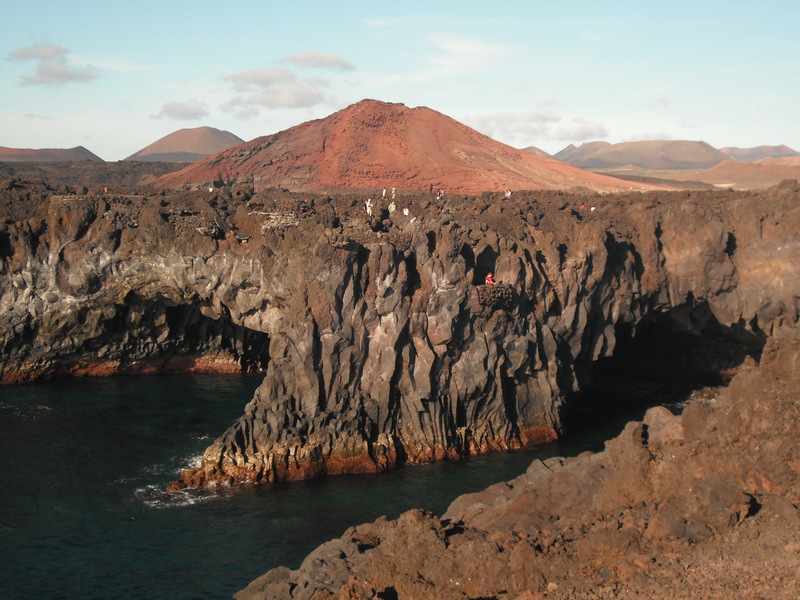 Neither on exhibition, nor in card shops we couldn’t find decent photos of Timanfaya, that would be able to transmit a certain percent of its beauty. That couldn’t make me sad – my memory will preserve these landscapes better than any paper. 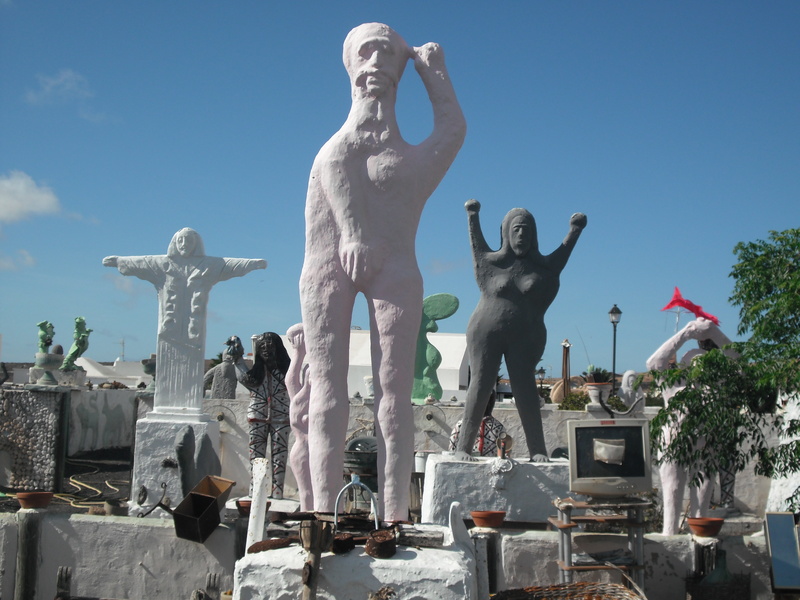 We made a tour around Lanzarote. Suddenly a place that I expected nothing from turned to be one of the most stunning impressions of the journey. Arrecife - near our lovely anchorage. Castillo San Gabriel. 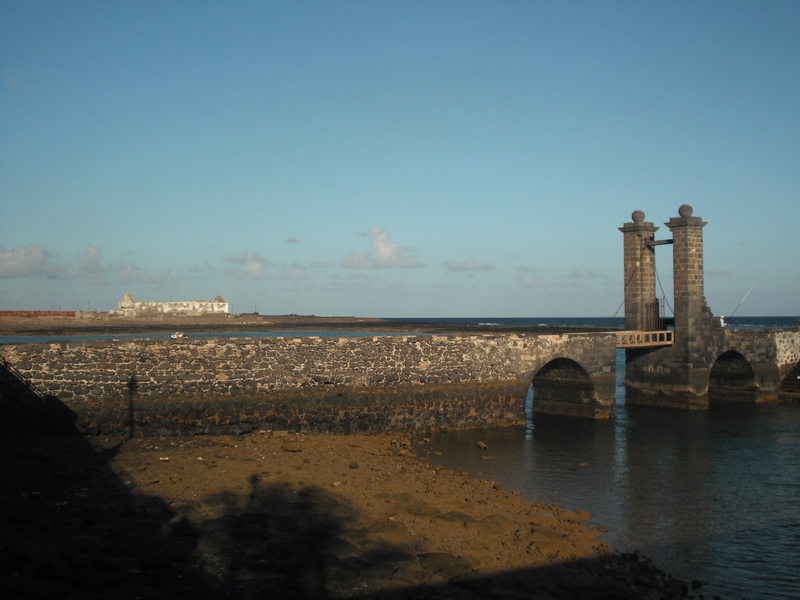 The journey started in Arrecife. The anchorage there was really great, with lovely neighbors from all over the world – couple who live on board for 15-30 years. 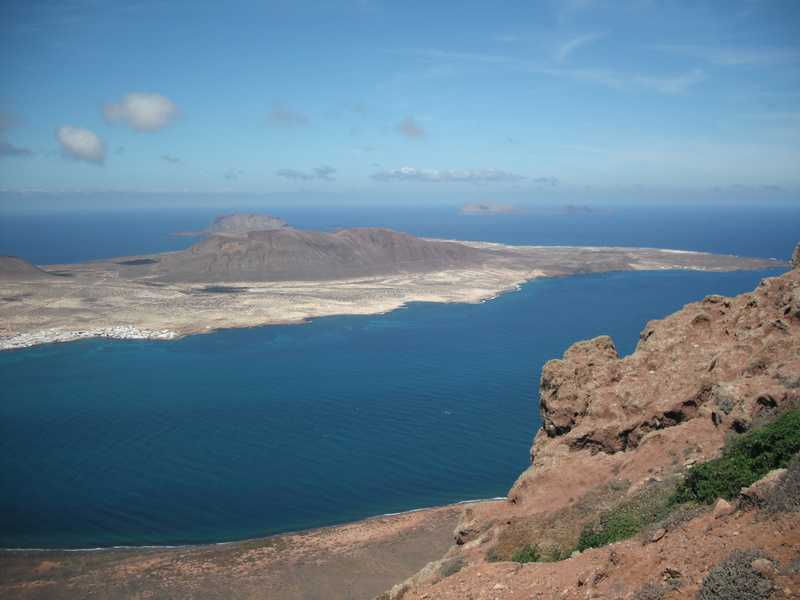 Another point that made my heart sing is a view on the Isla Graciosa – Mirador del Rio. 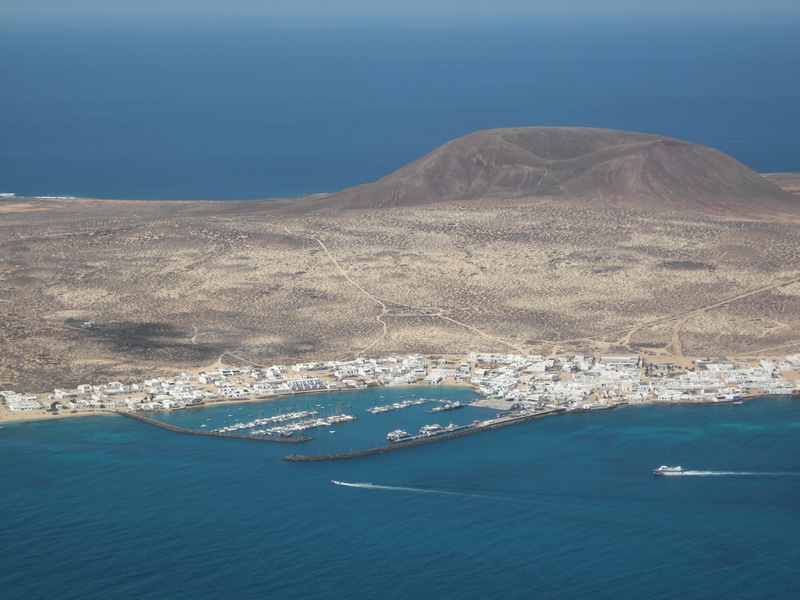 This small island lays to the north-west of Lanzarote. It’s a national park but it has a marina, burdened with formalities like registration tho. 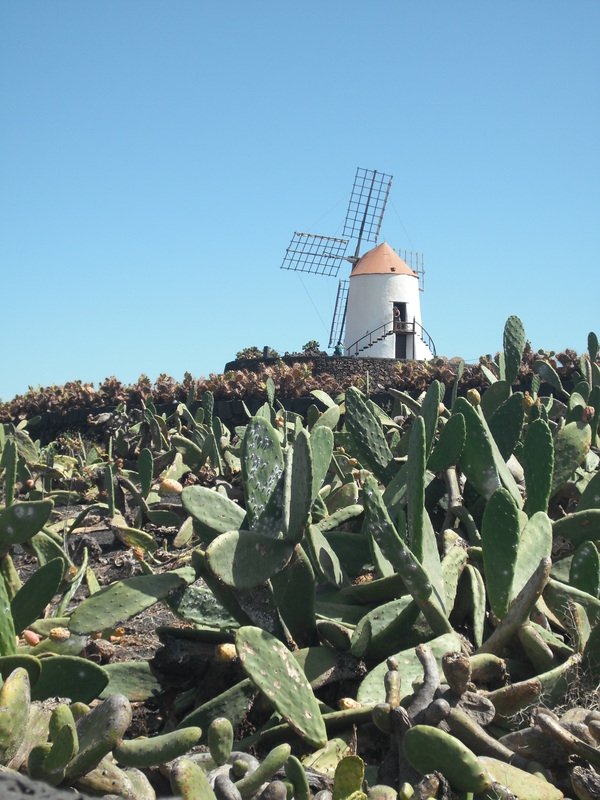 After leaving Arrecife – the capital of Lanzarote we passed endless fields… of cactus. Guessing about use of this plants, our suggestions didn’t go further than alcohol. Aloe Vera museum let us into the secret: cactus is used perfumes, cosmetics, medicine, liquids and many other useful things. We were almost to visit Jardin de Cactus – a park, where flowerbeds can be undoubtfully called “cactusbeds”. Unfortunately, it wasn’t for free again… I suppose, this place would be more interesting for families than to vagabond travelers like us. Another coast – western – another stunning. 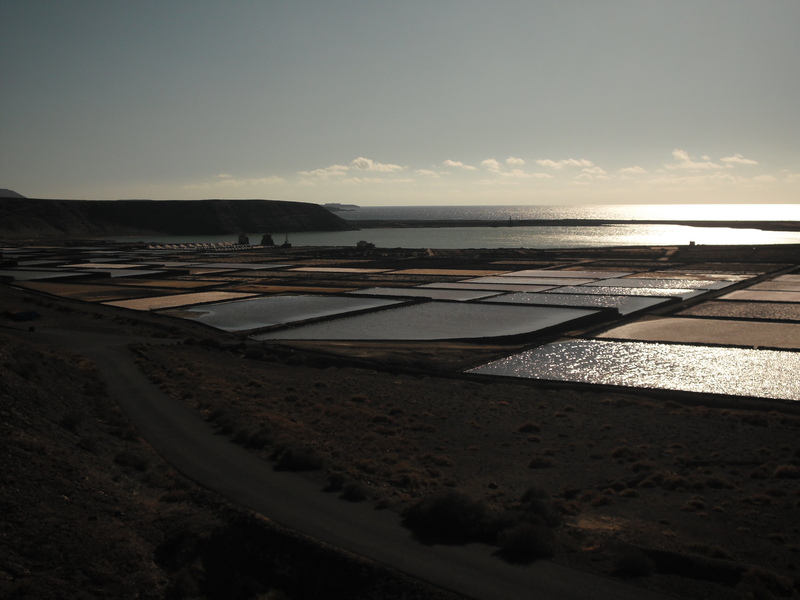 From main salt mines of Lanzarote – Salinas del Janubio – through amazing underwater caves Los Hervidros – to volcano ash beaches of El Golfo. 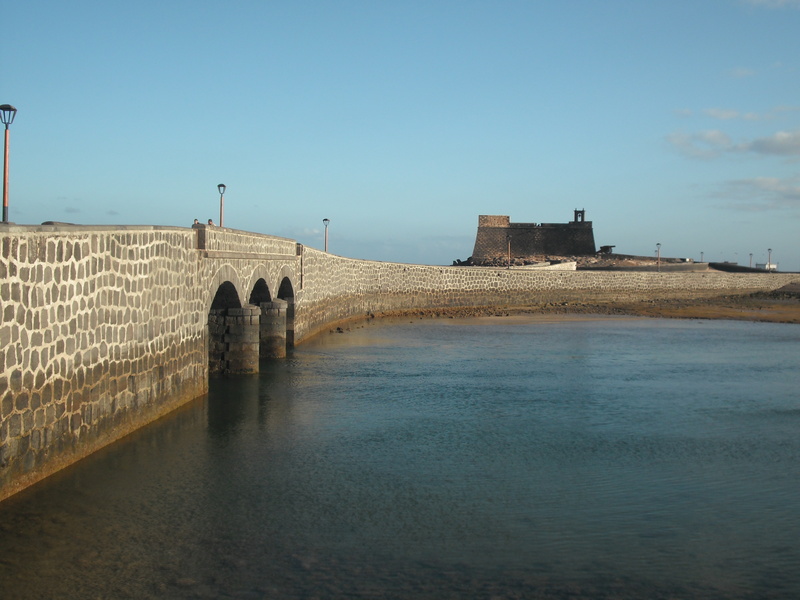 Lanzarote has some surfing spots. We checked one on the northern coast, several steps from Orzola. Cris approved it as a spot for those who just start. 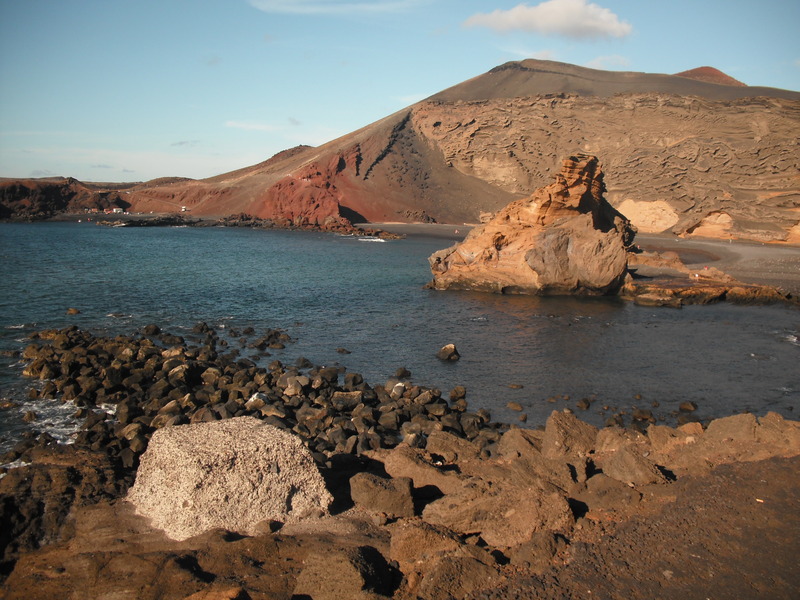 Another spot is on Playa de Famara, also on the northern side of the island. Previous PostInside the Orient paintingNext PostSee you in Cabo Verde!